Photo by Jeffrey and Julia Woods. 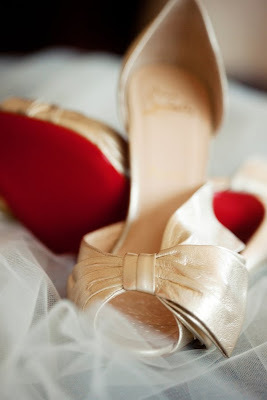 Style by Christian Louboutin. Hope you're all having a wonderful weekend so far; John requested Eggs Oscar (with dungeness crab and avocado), roasted potatoes, berries, fresh squeezed grapefruit juice and espresso for breakfast this morning, which is slightly less than he requested last Saturday morning. I'm diving in for a morning of cooking-what are you up to? and these shoes are perfect! That breakfast sounds delicious and those are BEAUTIFUL shoes. You have such a lovely sense of style! Each pair you post is better than the last! Sounds like a wonderful breakfast... and LOVE the Louboutin! Your shoe proposals are always stunning! uhmmm and how was your cooking weekend? Have a brilliant week!!! The pics you post show your refined taste. Love your blog. Definitely love your blog. Mmms Eggs Oscar sounds divine! Do you pair it with any sauce? Oh I love these shoes!!!! Ooh, that brunch sounds phenomenal!